Is envy our blind spot when it comes to truly understanding that most people’s lives are at least as fragile as our own? Last week was an extraordinary one, in which two well-known, highly successful people killed themselves in what could be regarded as the prime of their lives. The tributes-wistful, warm and admiring — continue to flow in for Anthony Bourdain, the former bad boy cook who became a giant among food storytellers, and whose charming T-shirted presence on my screen, most recently in the CNN series Parts Unknown, reminded me of exotic places I would never visit. 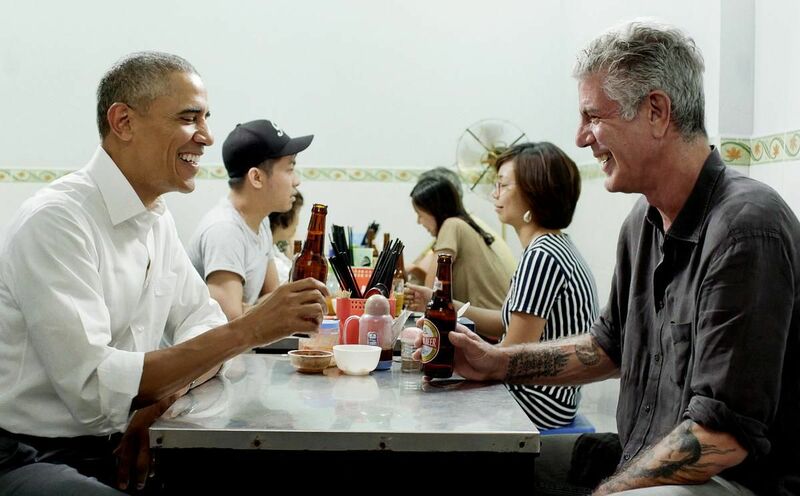 Stunning his many friends and fans, Bourdain, 61, took his own life while on assignment in the small town of Kayersberg in northeastern France. News of his death came just three days after the suicide of successful handbag designer Kate Spade, 55, found dead in her New York apartment. Both of these household names led what appeared to be charmed and enviable lives, filled with love, wealth, opportunity and a slew of ground-breaking accomplishments. Their tragic deaths elicited a deep sense of public loss and countless analysis of anxiety, depression and suicide. Many articles told us we should not be afraid to “reach out” if we’re experiencing depression or to be vigilant and offer help to others so they don’t end their lives in despair. For the loved ones, especially the young daughters of both Bourdain and Spade, there is no “aftermath” to their parent’s shockingly sudden death, only a lifelong emotional task ahead to come to terms with the loss and the manner of their leaving. For the rest of us, experiencing a more remote sense of loss, this might be a chance to look at how we envy celebrities — or for that matter even those who aren’t public figures — so much so that when their lives turn out to be as vulnerable as ours, we’re surprised. Yup. Why didn’t I write that bestseller, get that amazing writing gig or even pen that perfect phrase is a question I have asked myself much too often in a long career. It’s usually a waste of precious energy. Better to acknowledge there will always be people in your field more successful than you are — or less, for that matter. Some people will envy you. But sometimes professional envy can be positive — it acts as a spur to challenge yourself more, or take a new risk in your work. Envy is not just about professional comparisons. When it comes to our personal lives, social media today offers a virtual banquet of opportunities for envy — a friend’s stunning travel photos look better than yours, someone else’s family celebrations seem happier or at least better dressed, and as I’ve written before, the amount of not so subtle bragging that goes on, often accompanied by the humblebrag hashtag “#blessed!” makes you want to add “#cursed!” to your own status updates. In this world, unless we stay off social media, we can’t escape constantly comparing our lives to others. And it’s just not healthy. They have more money or a wealth of opportunities that we think we don’t have. Or even just a prettier garden. To keep envy of others at bay, lots of people practice gratitude and talk about it, listing for example the five things, however modest, they are most grateful for every night when they go to bed. Canadian actor Cynthia Dale, who recently starred in the musical Fun Home, and is coming back in 2019 in a reboot of the popular television series Street Legal, recently told a CBC radio interviewer that her gratitude practise included acknowledging she is also grateful “for what I don’t have in my life — there’s lot of horrendous things in the world that I don’t have to experience.” Which seemed even better an approach to me. Reverse envy. When we envy other people — those we’re close to, those we only see on our screens or whose beautifully designed purses we carry — we miss seeing their suffering. We’re so dazzled by what they do have, we can’t always recognize how challenging it is to be them. I’ve known several successful people who killed themselves and it has changed the way I deal with anyone who confides in me that they are suicidal. I ask specific questions and I act — sometimes in an invasive manner. I once called a friend’s doctor. And I have and would call family members of friends who express the wish to die. I also don’t assume that even when friends are doing spectacularly well, they don’t need help. We don’t get to help famous people such as Anthony Bourdain or Kate Spade, who was, her husband said, being treated for depression and anxiety. But we can acknowledge, as we view their lives and the lives of other successful people, that no one is immune to deep personal suffering. While they are alive, this should be a liberating part of how we regard them, not with envy but with admiration for having taken advantage of their opportunities while not achieving perfection in any way. I’ve come a good distance in my determination to try not to envy others, not just because it feels better when I don’t, but because envy hurts them as well. It makes them seem invulnerable when they are in most cases, exactly the opposite.